Gang and youth violence is a perennial problem. When did gang violence start in America? In the state of Washington, youth gangs have been active since at least the 1920s, and motorcycle gang violence has been sporadic since the 1950s. Today, youth gangs are responsible for a lot of violence and crime on the streets of Washington. Gangs create a climate of fear on the streets and in schools, and lead to an increase in violent and criminal behavior. As drug crimes lawyers, we know that gangs are not only in Washington—gang violence is truly a national problem. For this reason, it is no surprise that law enforcement officers and the courts do everything in their power to arrest and charge individuals who are believed to be part of a gang and a threat to the public. WHAT ARE THE PUNISHMENTS ASSOCIATED WITH GANG CRIMES? To fight gang crimes and youth gang violence, the state of Washington severely punishes crimes that can be linked to gang activity. Labeling a crime as a “gang crime” is one way prosecutors pressure juries and judges to “get tough” on defendants. Prosecutors can seek “enhanced” sentences for crimes committed to promote gangs or an offender’s status within the gang. A “gang crime” could include almost any crime committed to further the gang’s “interests” – murders, drive-by shootings, assaults, car thefts, robberies, and more. If you are accused of a gang-related crime in the Seattle area, you need a skilled attorney with substantial criminal defense experience. 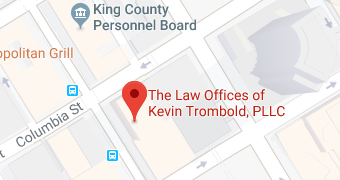 Call the Law Offices of Kevin Trombold. Experienced Seattle gang crimes attorney Kevin Trombold will fight for justice on behalf of his clients and bring each case to its best possible conclusion. According to state law, a gang is any group of more than three people who participate in criminal activities and use a sign or symbol to identify themselves. Are street gangs a form of organized crime? Many people think so, but the answer is no. Organized crime groups typically have much more structure than street gangs, who are formed loosely and give members informal roles. According to the law, what makes a gang member? Washington law considers someone to be a member of a gang when that person plays an active role in the criminal gang and takes part in a crime along with or on behalf of a gang. Prosecutors think they know how to identify a gang member, but they are often wrong. If you are being accused of committing a gang crime, speak to an experienced local attorney as soon as possible. People often ask, “Are gang crimes misdemeanor or felony charges?” It depends. As you can see, the law is very confusing when it comes to defining gangs, gang members and gang-related offenses. The broad definition of the law means that almost any crime that is committed can be seen as a gang-related offense as long as the prosecution can convince the jury that you were part of a gang while committing it. Gang violence with illegal guns or related to drugs is common, but remember, almost any crime can be considered a gang crime. Depending on the crime, a gang member could be sentenced to life in prison or given a light sentence along with fines. If you or a loved one has been arrested by the police or charged with a gang crime in the Seattle area, contact an experienced Seattle gang crimes attorney at the Law Offices of Kevin Trombold. Our team of attorneys will be able to explain the charges against you, discuss legal options and fight to defend your rights. WHERE IS THE MOST GANG VIOLENCE IN AMERICA ACCORDING TO SEATTLE LAWYERS? Gang violence statistics in the U.S. change every year. The cities that usually have the most gang violence are Chicago, Detroit, and Los Angeles, however gang violence is a social problem everywhere, not just in these cities. Gang violence often leads to death and needs to stop to protect people everywhere, especially kids. Today’s youth end up joining gangs for money or because they feel they have no other choice. Youth gangs are more common in urban areas with well-known gang problems, however they can exist almost anywhere. The vagueness of the legal definitions regarding gang crimes often provides defense possibilities in gang crime cases. Is the suspect “formally or informally” linked with two or more others in a street gang? How well do they know each other? Do they have a common identifying gang name or symbol? How were a gang’s “interests” furthered by the crime? If these elements of a gang-related offense cannot be proven by the prosecution in district court, then you should not be charged with a gang-related crime. Remember, an arrest does not mean an automatic conviction. The prosecution must prove that you are guilty beyond a reasonable doubt of committing the crime that they have charged you with. “Gang crime” laws are complicated but not always precise, so it’s imperative to work with an attorney who understands the law and routinely represents those accused of gang-related crimes in the Seattle area. If you are charged with committing a gang-related crime in the Seattle area, immediately contact experienced Seattle gang crimes attorney Kevin Trombold from the Law Offices of Kevin Trombold. Mr. Trombold can provide you with legal advice and any additional information you need regarding your case. After reviewing your case, attorney Kevin Trombold will outline your legal options and fight aggressively for justice on your behalf. Unless you are represented by a criminal defense attorney, one gang crime charge could affect the rest of your life. Seattle criminal defense attorney Kevin Trombold and the staff of skilled lawyers at his law firm will quickly work to begin investigating your case and defending your rights. Kevin Trombold has been practicing law for over twenty years; some of his firm’s practice areas include assault, domestic violence, white collar crimes, juvenile offenses, homicide, DUI, and robbery. Mr. Trombold is now known by judges, other law firms, and prosecutors as one of the most highly sought after lawyers in Seattle. If you are being accused of committing a gang-related crime in or near the city of Seattle, please contact the Law Offices of Kevin Trombold by calling 206-249-9656 or filling out the form on this site. Speak to a helpful team member in our office to schedule your no-cost initial consultation. If you have been charged, there’s no time to waste—call today for the legal resources you need.